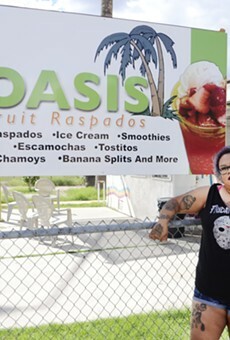 Best Raspados | Oasis Fruit Cones | ¡Comida! 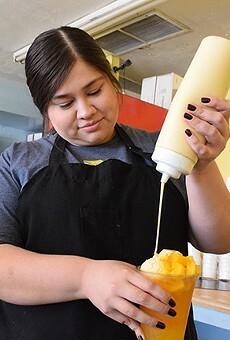 Even though summer has wound down, it is never a bad time to have a cold and refreshing raspado! A combination of shaved and crushed ice topped with your choice of freshly diced fruit in juice—Oasis has options for you. Pineapple, mango, cantaloupe, tamarind, coconut, plum and more! So don't be afraid to go try one in the fall and winter, just remember to wear a sweater.